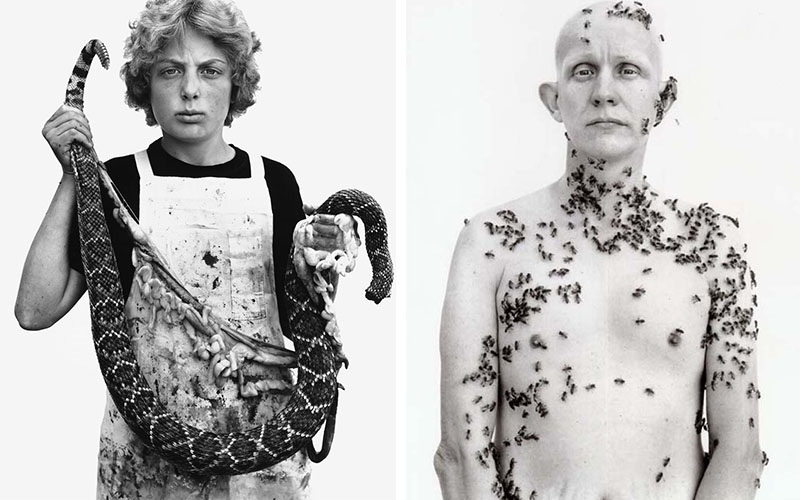 Although this American artist primarily referred to himself as a portrait photographer, Richard Avedon’s celebrated fashion photographs have graced the pages of popular magazines for decades. His shots were profoundly dramatic and dynamic, often capturing the model in motion – a feature that oftentimes implied a reference to avant-garde artists such as Man Ray. Via his meticulous approach and penetrating gaze, Avedon took photographs of celebrities, politicians and other public figures – in fact, he once said that he photographed just about everyone in the world. He also said that all the portraits he ever done were just pictures of him, a statement that opened up many conceptual questions concerning this photographer’s work. Avedon was born in the middle of May of 1923 in New York City. Interestingly, this was the year when Robert Delaunay painted his Portrait of Tristan Tzara and George Grosz finished his most famous collection titled Ecce Homo. 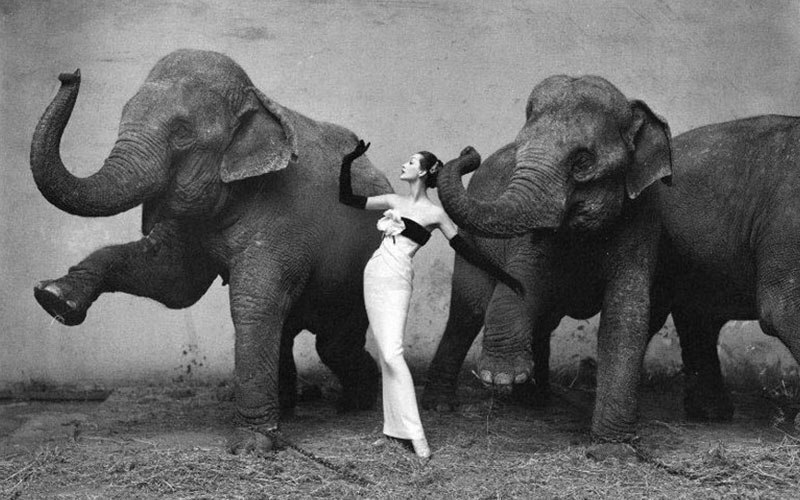 Avedon’s mother Anna came from the family of dress designers and manufacturers. His father Jacob Israel was also in the clothing business as he was the owner of a store named Avedon’s Fifth Avenue. Naturally, Richard’s world was infused with the sense of fashionable, overflowed with different colors and clothing materials that were constantly circulating through the family house. When he was 12 years old, Avedon joined the Young Men’s Hebrew Association camera club. By then, he already mastered the use of the camera in his father’s store where he spent days upon days taking photos of the disposed garments. During this time, Richard met and became friends with an American writer James Baldwin and the two of them co-edited Magpie, the high school’s literary magazine. Very passionate about poetry in those days, Avedon was even named Poet Laureate of New York City High Schools in 1941, just before the USA entered the World War. After finishing high school, Richard attended philosophy and poetry courses at the Columbia University. 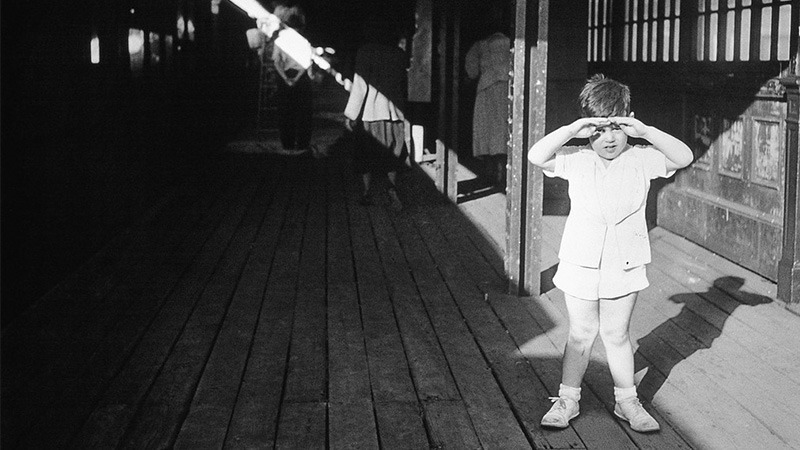 After the first year of college ended, Richard went to serve in the United States Merchant Marine during World War II where he was a Photographer’s Mate Second Class in charge of taking identification photos. 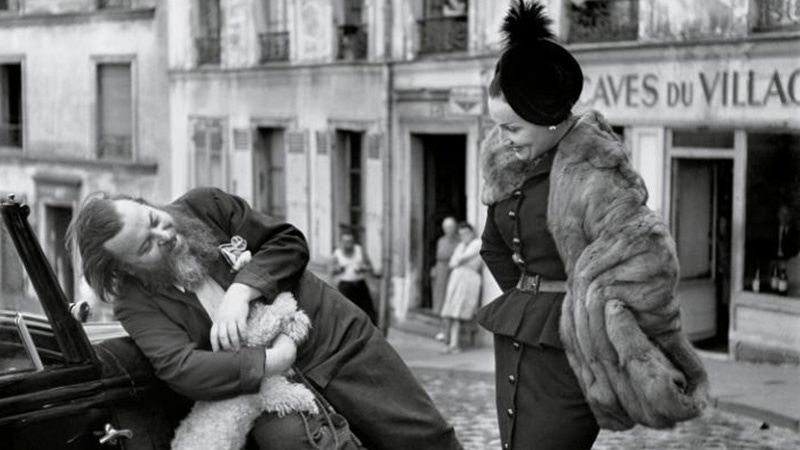 When the war was over, Avedon was sure being a photographer was his true calling. He started out his civil professional career as a freelance photographer and decided to continue his education by enrolling at the New School for Social Research in New York City where the art director of Harper’s Bazaar, Alexey Brodovitch, worked in a Design Laboratory. In a matter of weeks, Brodovitch hired Avedon to work for his magazine. From day one, the emotions and movements of subjects were the imperative in his work. Soon, Richard’s street photos, nightclub pictures and even circus shots became a breeze of fresh air in the fashion photography industry due to the author’s endless resourcefulness and inventiveness. However, this photographer’s collaboration with the HB did not end on very good terms – Avedon quit his position after being faced with harsh criticism for his collaboration with models of color. After the controversial incident with the Harper’s Bazaar, insulted Avedon started working for the strongest opponent of his previous employer – the Vogue. He stayed in this magazine’s editorial team for two whole decades while he explored his cultural, political and personal passions. Richard focused a lot of his efforts on the portraits of members within the American Civil Rights movement, patients in mental institutions and the survivors of Vietnam war. However, his arguably most touching portrait of this period was that of his father, Jacob Israel Avedon. During this time, Richard also worked on a few projects for the Rolling Stone. In a period between the years of 1979 and 1985, Richard was was under the commission of the Amon Carter Museum of American Art that resulted in a show and a book, both titled In the American West. Later on, he became the first staff photographer at The New Yorker, and it was here that his portraiture pieces blossomed, redefining the entire aesthetic of the journal. Interestingly, during the 1990s, his fashion photography was almost exclusively done just for the French publication Egoïste’s purposes. 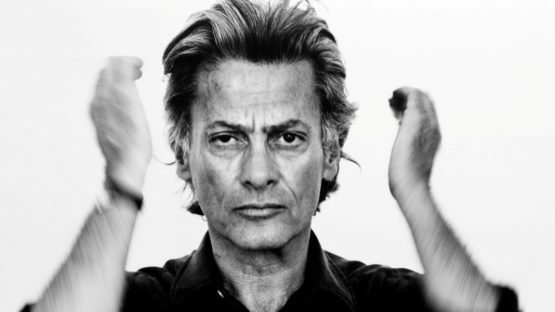 Now well into his mature career, Avedon’s successful commercial studio worked on campaigns for such names as Calvin Klein, Revlon and Versace on regular basis. Even though he faced a risk of falling into the trap of commercial photography, Avedon managed to absolutely blur the line between advertisement and art, creating some of the most original and iconic marketing campaigns ever seen. He was also able to tame some of the biggest names in the political and social scene at the time – individuals such as Eisenhower, Marilyn Monroe, Bob Dylan, The Beatles members, Dr. Martin Luther King Jr., Malcolm X and Julian Bond were placed in front of his camera’s lens on regular basis. For all his contributions to many forms of photo-making practices, Avedon received a Master of Photography Award given by the International Center of Photography. After all the decades spent on honing his skill, this photographer’s talent and energy were undeniable. Avedon worked until the last day of his life – he died on the 1st of October in 2004, in the middle of the assignment for The New Yorker. He was 81 years old at the time. Nowadays, his work can be found in the prestigious collections of MoMA, the Smithsonian and the Metropolitan Museum of Art, as well as in a countless number of other international and national public and private acquisitions. Avedon once claimed that everything there is to know about how to get a perfect photography is to recognize a good surface, the one that holds all the clues. Such an approach helped him to investigate the two-dimensional nature of photography and evolve via his ability to follow the narrative purposes of art. 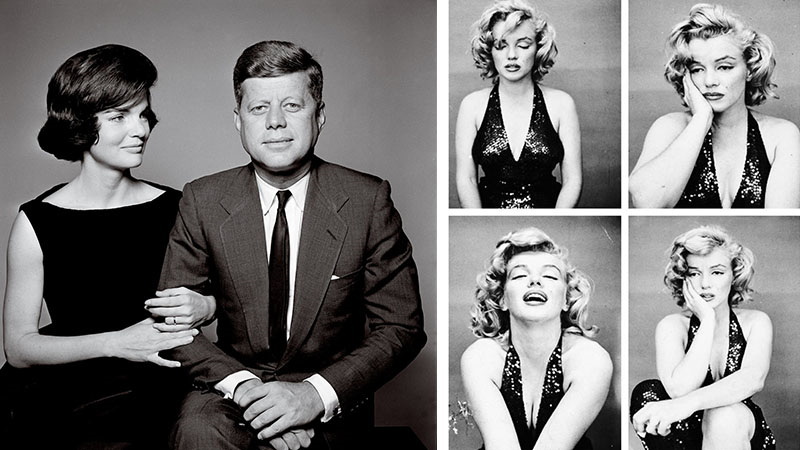 Ultimately, this photographer reinforced the popular saying that a camera can capture the subject’s soul – Avedon managed to prove that one photographed and captured moment can reveal the entire intimate world of the person standing in front of him without lies, compromises or skipped portions of the truth.